Are you an inventor or filmmaker? A scientist or entrepreneur? Do you have a unique approach to your work that is worth sharing with the world? Could you benefit from the TED platform and the support of a dynamic global community of innovators? If yes, you should apply to be a TED Fellow. This year, TED is looking for new, extraordinary thinkers from around the world to join the Fellows program at the upcoming TEDGlobal 2017 conference in Arusha, Tanzania. TED Fellows are a multidisciplinary group of remarkable individuals who are chosen through an open but rigorous application process. Each TED conference, we select a class of twenty Fellows based on exceptional achievement, strength of character and innovative approaches to tackling the world’s toughest problems. Do you think you have what it takes? Apply by November 13 at go.ted.com/tedfellowsapply. The second major TED conference in Africa, TEDGlobal 2017 will focus on the challenges and opportunities facing the continent. 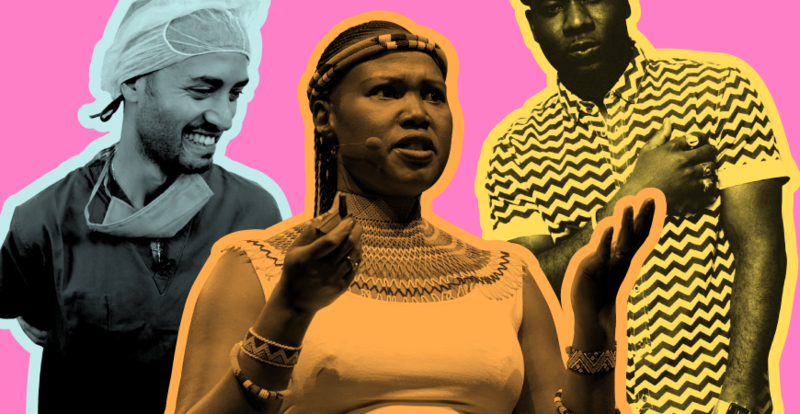 We encourage all talented innovators in their fields – science, art, technology, entrepreneurship, film and beyond – to apply to become a TED Fellow, especially those working on the African continent. If selected, you will attend the TEDGlobal 2017 conference, and participate in a Fellows only pre-conference designed especially to inspire, empower and support your work. Fellows will also deliver a TED talk at the conference, to be filmed and considered for publication on TED.com. The TED Fellows program is designed to catapult your career through transformational support like coaching and mentorship, public relations advice for sharing your latest projects, hands on speaker training – and most importantly, access to the vibrant global network of the other 400 Fellows from 90 countries. We will select twenty TEDGlobal 2017 Fellows based not only on what applicants have accomplished so far, but also on their character and grit, their collaborative spirit, and their potential to break barriers as they build their careers. The online application includes answers to general questions, short essays and three references. Only those aged 18 and older should apply. If selected, Fellows must reserveAugust 21 – September 1, 2017 on their calendars for the TEDGlobal 2017 Conference in Arusha, Tanzania. Think this is right for you? Apply now.